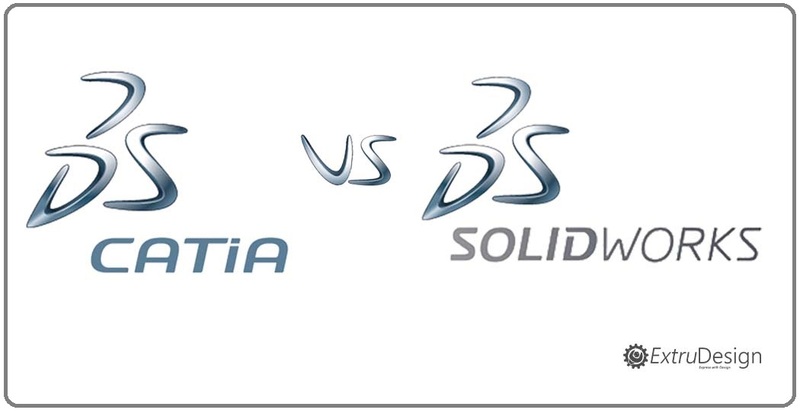 CATIA vs SOLIDWORKS: CATIA and SOLIDWORKS are 3D modelling software developed from the same company “DASSAULT SYSTEMS”. DASSAULT SYSTEMS is a FRENCH multinational software company. That develops the 3D design, 3D Digital mock-up, and PLM (product lifecycle management) software. These are the main focused areas where a design engineer/Mechanical Engineer can opt for a CAD system one on another. First of all the major difference is the capability in design. CATIA is very sophisticated for generative shape designs. SOLIDWORKS is used for the machine design. So that mostly automotive and the aerospace industries are using CATIA. 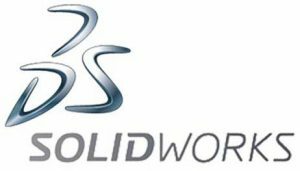 SOLIDWORKS is purely a product to design machines. 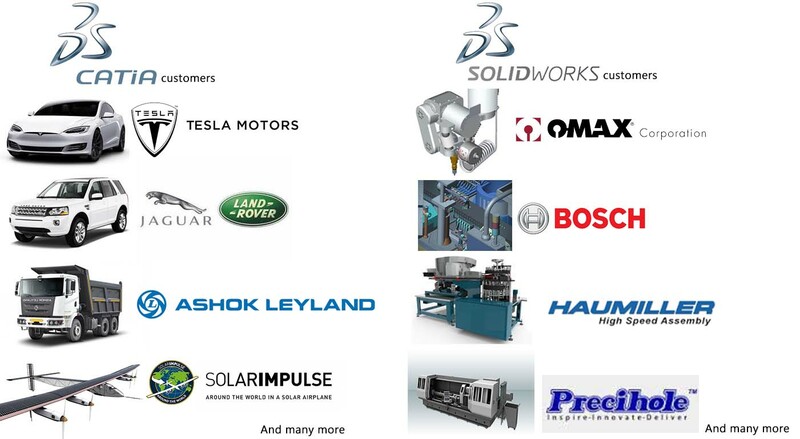 Take a look at the global customers of the CATIA and SOLIDWORKS. CATIA provides PLM(Product lifecycle management). which includes CAD CAM CAE, Ergonomic Analysis, And powerful CFD analysis. Ergonomics analysis: The study of people efficiency in the working environment. SOLIDWORKS is only meant for the 3D modelling. But of course, we can do all the above operations. It requires third-party applications. Both the software playing a crucial role in their own set of targets. 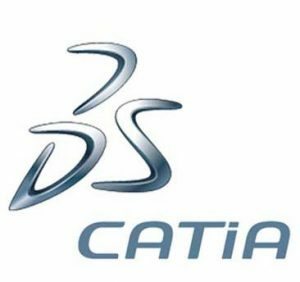 CATIA price and the SOLIDWORKS price are listed below. The maintenance costs are additional. $9,000- 65,000(Depending on the modules selected). $3,995(since not changed from its first release). CATIA is a bit expensive CAD package than any other CAD Software. Small-scale industries will choose SOLIDWORKS. CATIA is especially used by Aerospace industries and Automotives. SOLIDWORKS is a user-friendly tool. CATIA is a powerful tool. Each of them is best in their own way. If we start using them we will feel that SOLIDWORKS is a bit easy to learn. Where as CATIA is an open environment to maximize the possibilities to customize the product in our own way with the bunch of features.